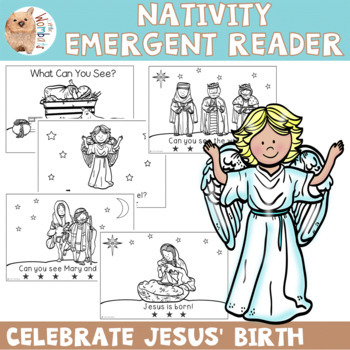 This cute Nativity emergent reader is designed for kindergarten to teach beginning readers the concepts of print. The text is simple and repetitive. Students use one to one correspondence using the star under each word. 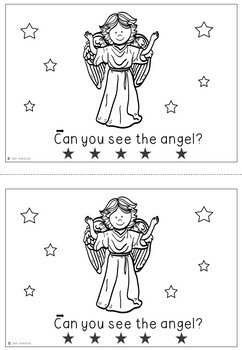 They will learn the sight words, ‘can’, ‘you’ ‘see’ and ‘the’. Each of my student has an Emergent Reader in their packs to read during ‘Read to Self’ time. 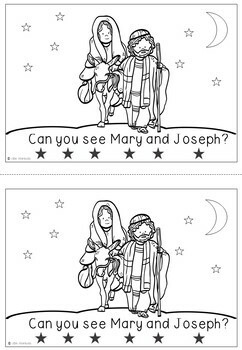 I also use them in my Guided Reading sessions. 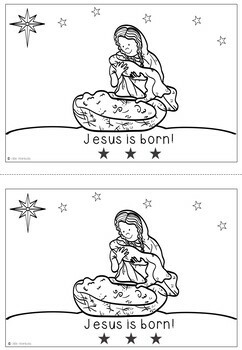 The books are easy to assemble – simply photocopy them, cut on the dotted line and staple together. I like to copy the front cover on coloured paper. I have created a page with two front covers in order to do this.